Running Experience: After setting school records for Unionville High School, I ran for The College of William and Mary where I was a Division 1 Cross Country All American and helped my team finish 8th, 15th, 16th and 5th at the NCAA Cross Country Championships and won the Penn Relays 10k as an individual. After college, I went on to win a bronze medal and help USA secure a win at the 2011 North American Central American Caribbean Cross Country Championships and helped the All-Ivy team finish 8th at the 2011 Izumo Ekiden. Afterwards I competed for several years as part of a post collegiate training group in Syracuse where I finished top 20 at several USA Road Championship Events. I was then offered a scholarship to the University of East London for graduate school where I pursued a MS in Strength & Conditioning while competing for the University, running for the Newham Essex Beagles and Run-Fast Sports Management team. After a competing abroad (and training in Kenya), I returned to the states to train for my first marathon. 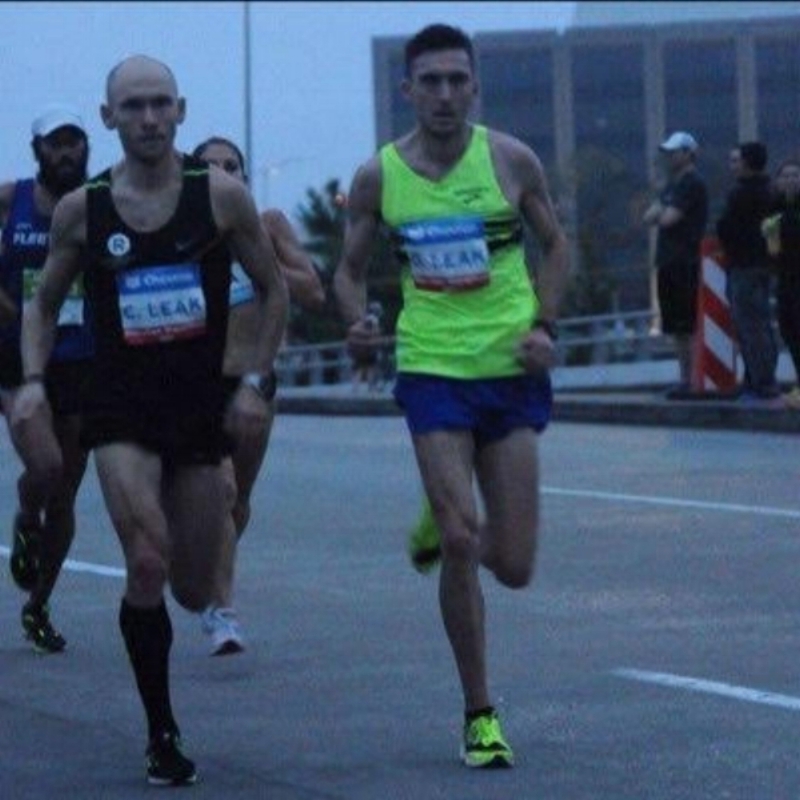 In my debut marathon, I finished 8th overall, 3rd American in the 2017 Houston Marathon with a time of 2:18:16. Favorite distance or race: Favorite track distance would be the 5,000m, favorite road distance is the marathon. My favorite track race is the Penn Relays because of the environment, for the road is the Izumo Eiken because it is a relay road race and for the grass it is the Britsh Cross Country Nationals because of the mud. Background: I started running when I was in 5th grade after I ran the gym class mile. I started running CYO track for St. Aloysius. Running experience: I ran cross country and track at St. Pius X and later in college at La Salle University. My high school cross country team won the PIAA State Cross Country team championship. I was the former La Salle University school record holder in the 3000 and 5000 meters. I qualified for the 2009 USA Indoor Track and Field Championships in the 3000m. I have competed in 4 marathons. My favorite marathon was New York. Favorite distance or race: My favorite track race is the 3000m. My favorite road races are The Philly 10k and the Falmouth Road Race. Reason for coaching: I want to encourage people to be more active and to help them reach their running goals. My high school and college coaches were great mentors to me and I would like to help mentor others. Bonus: I currently work as an assistant Men's and Women's Cross Country coach at Upper Moreland high school. I am a certified RRCA coach. Background: I've been running for about 15 years. I got into serious running when my son was born. I knew I wanted to be healthy so I can experience my time with him to the fullest. Reason for coaching: Knowing I helped someone become a better version of themselves is very rewarding. Personal mantra: "Discipline fuels the fire"
Background: I started running CYO track in 8th grade and joined my high school cross country team the following fall. I really liked my coaches and they were such a great influence on me during my high school years. Running experience: I ran 4 years in high school - XC and track. I was also on my HS swim team. I competed 4 years at Lock Haven University and was a 2 year XC Captain. Upon completion of my undergard, I moved to Florida and competed with Team Track Shack for 4 years. Favorite distance or race: I love the10k distance and my heart will always be with the Boston Marathon. Reason for coaching: Anybody who is willing to put forth the effort to succeed. I have worked with beginner run/walkers to marathoners. Personal mantra: Running is more than one foot in front of the other. It's a lifestyle. It's challenging, yet highly rewarding.